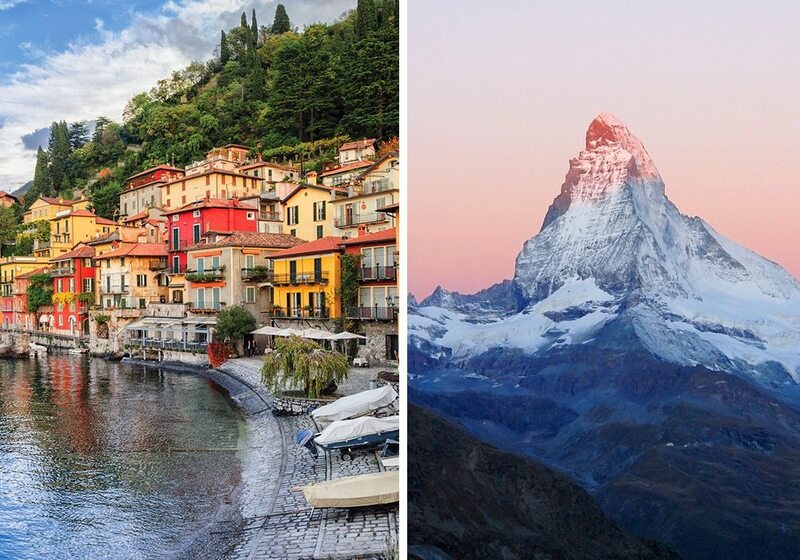 Wondering where to spend one week in Europe? 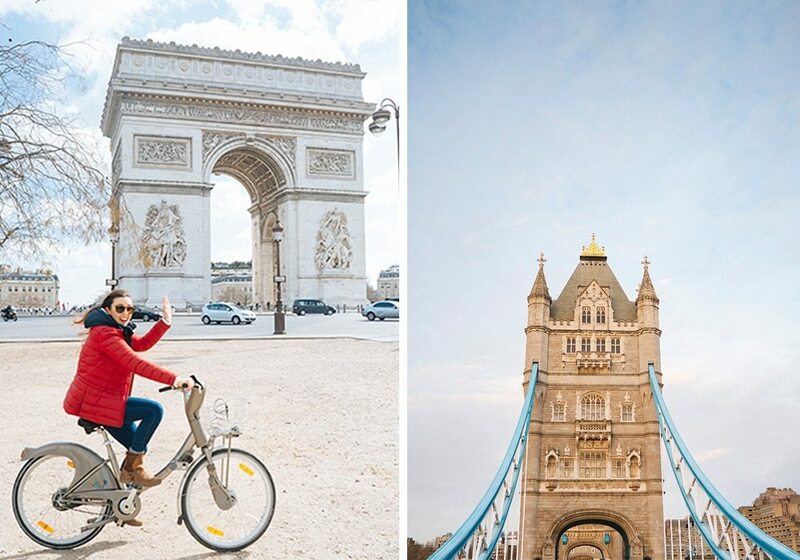 These 20 ideas for your Europe trip will help you decide how to maximize your time. 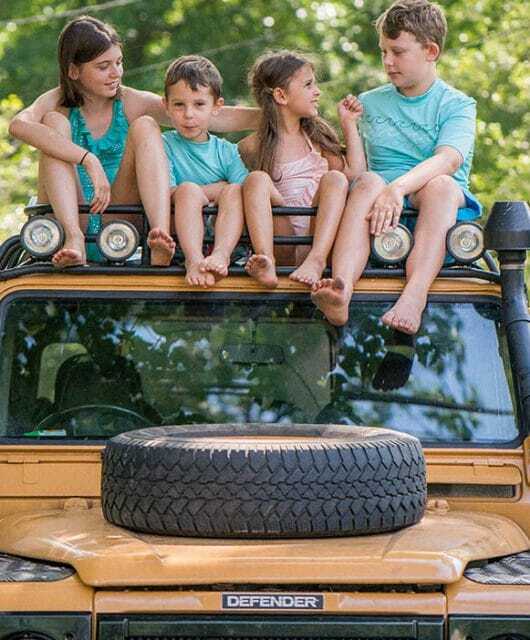 If you’re like most people and getting time off work or kids out of school is challenging, you may only be able to manage one week of vacation. Europe is a great destination to go for one week, simply because of the cultural diversity in such a small geographic area. The small size, proximity, and ease of transportation between many of the countries in Europe make it a good choice for a culturally rich one week holiday. 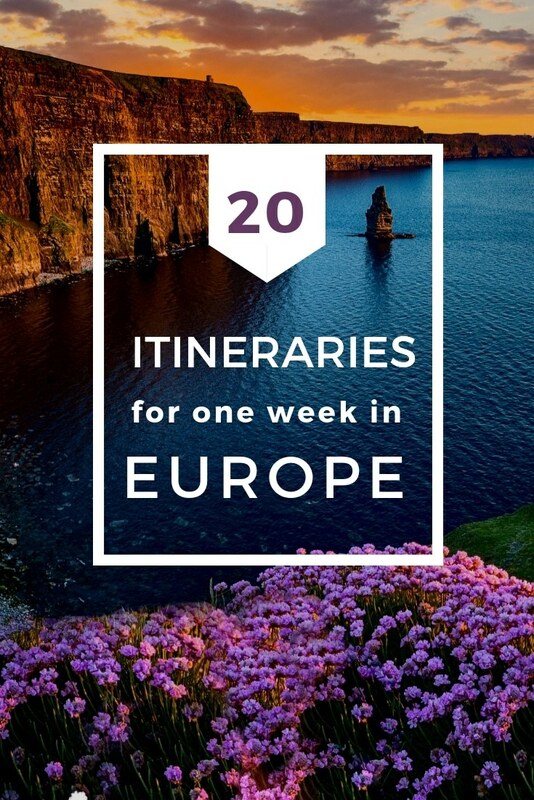 If you’ve only got one week in Europe, but really want to maximize your time, here are 20 perfect one-week Europe travel itineraries. No time to read this now? Pin it for later! GETTING THERE: Getting to Europe can be very affordable if you know how to find cheap flights. I’ve shared all of my best tips and tricks in this article, which will show you how to find the best times to visit Europe and how to find the most affordable flights. Tickets to Europe are so cheap right now. I’ve seen some for $250 round trip recently, and last year our family flew to Ireland for $60 each! BOOKING LODGING IN EUROPE: When planning your Europe trip you have many great options for lodging. Airbnb is quite popular there, and there are lots of options for hotels, especially family-friendly ones. I’ve shared my favorite Airbnbs and hotels from each of these destinations. If this is your first time using Airbnb, you will definitely want to use this coupon to get $40 off your first stay. Plus it helps me out too! Here is a guide I wrote all about the ins and outs of getting the best deal from Airbnb. GETTING AROUND: Getting around Europe can be a little daunting, but if you do some research before you go, you’ll be just fine. Transportation in every country in Europe is a little different. I’ve linked many of my articles with helpful advice below like How to Survive Train Travel in Italy and Driving in Scotland. Some itineraries will require you to go by train, car, plane or boat. 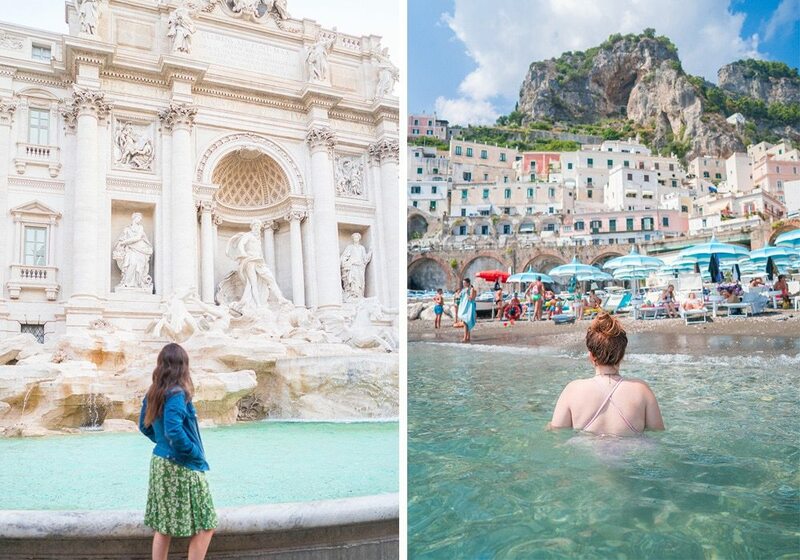 There are hundreds of choices for stunning history and scenery when you visit Italy, but this Amalfi Coast and Rome itinerary gives you the best of both worlds. Rome offers history around every corner…literally, while on the Amalfi Coast you will be overwhelmed by breathtaking ocean views. Spend several days in Rome, then head south via Naples and spend a few more relaxing on the beach and driving the coast. Check out these other 5 amazing itineraries for Italy. 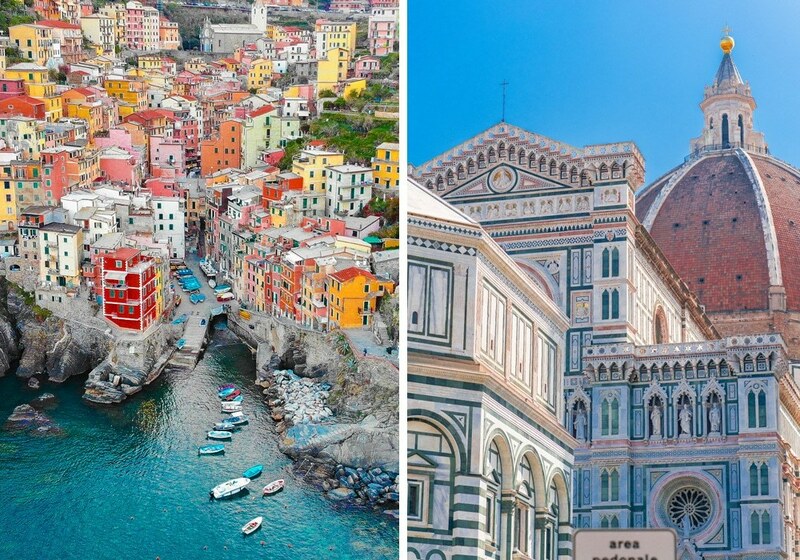 GETTING BETWEEN CITIES: Getting from Rome to Amalfi is easy. Take the train from Rome to Naples, from there take the bus to Sorrento. There are many tour buses that travel along the coast, or you can rent a car and do the driving yourself. I can’t even count the number of times that I have done the Paris/London combo. I’ve done it with kids, as a couple, as a girls’ trip, and as a field trip. No joke! 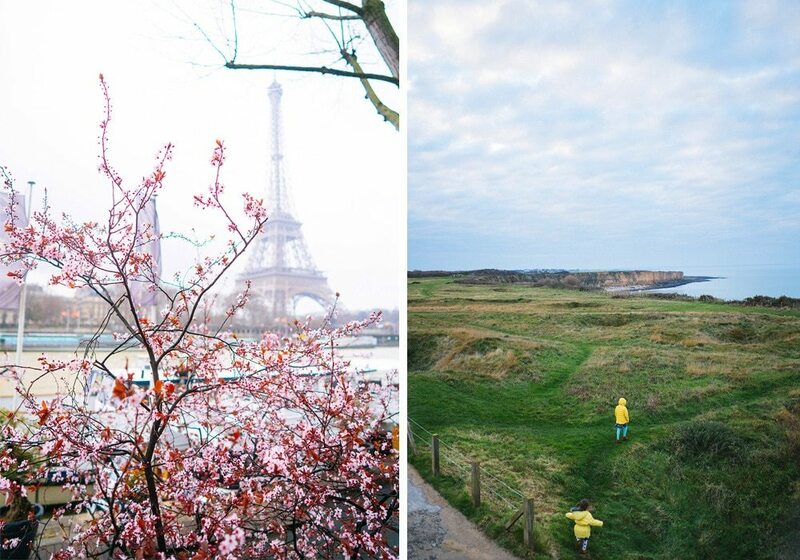 And every time I go, it’s like completely different cities These are two of my favorite places in all of Europe. They are popular for good reason. They are so vast and diverse that you can have a new experience each time you visit. The best part about visiting these two cities is that they are very easy to travel to with the help of the Eurostar. It’s a quick journey from the heart of one city to the next that requires no airports, no flying, and no hassle. Note: You will need a passport or visa to travel between England and France and you will need to go through customs before boarding the Eurostar. 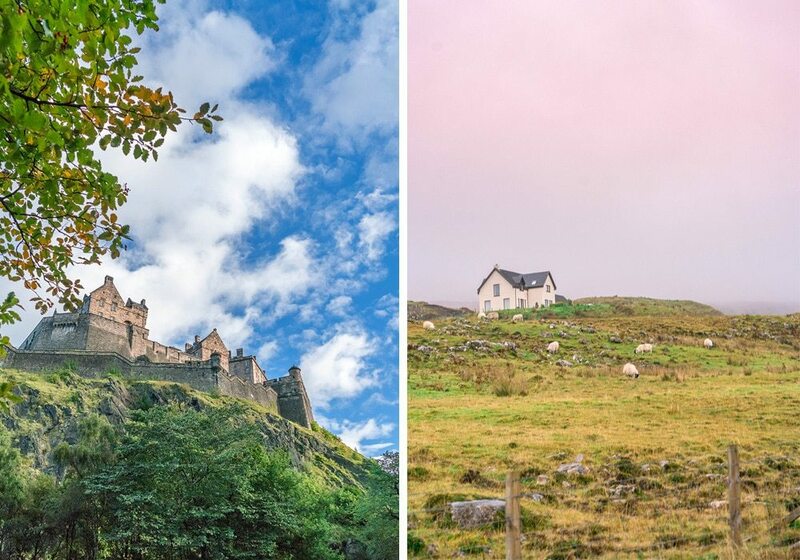 While both of these spectacular islands really deserve their own week (or weeks really), a trip combining the two is possible, thanks to affordable flights between Iceland and Ireland. A good route would be Reykavik and the Golden Circle, combined with the west of Ireland including Killarney, the Ring of Kerry, and the Cliffs of Moher. 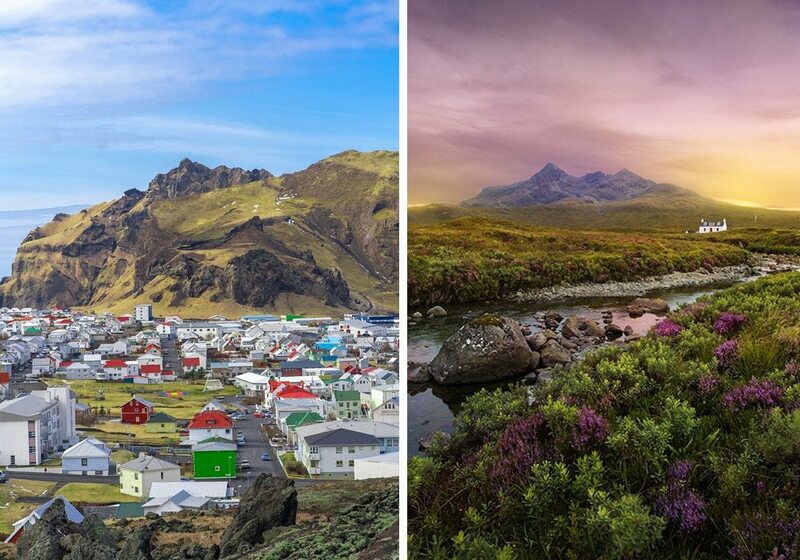 GETTING THERE: Fly into Iceland as its one of the cheapest ways to get to Europe. 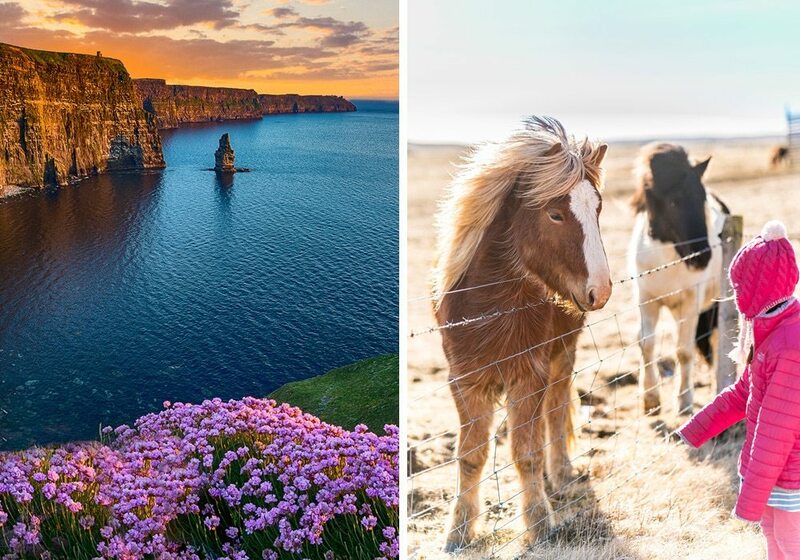 GETTING BETWEN COUNTRIES: From Iceland, take a quick flight to Ireland. Dublin, Belfast, Cork, or Shannon Airports are usually where you’ll find the best deals. 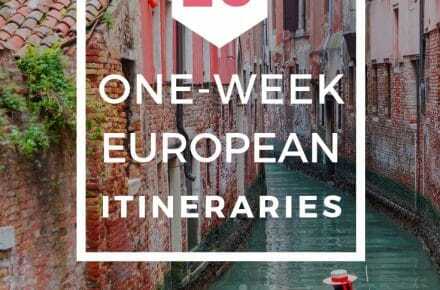 This one-week European itinerary includes two of my favorite cities in Europe! 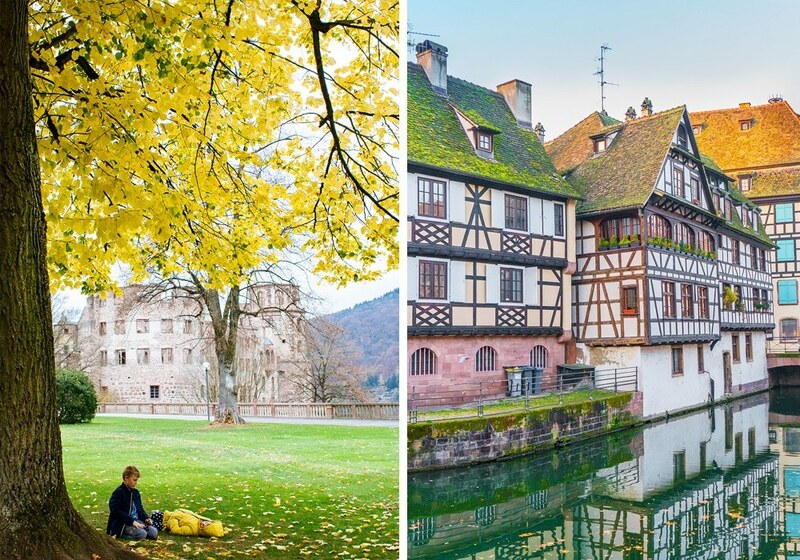 Heidelberg, Germany, known for its ancient castle and walkable downtown is a perfect companion to Strasbourg, France only an hour and a half away, in the Alsace region of France, known for its impressive cathedral and half-timber houses. These towns are particularly spectacular during the Christmas season.This will be the best Europe itinerary for those looking to spend time in provincial looking towns! GETTING BETWEEN COUNTRIES: Drive for 1.5 hours or take the train for 1.5 hours. Basel, Switzerland holds a special place in my heart and is often an overlooked town. 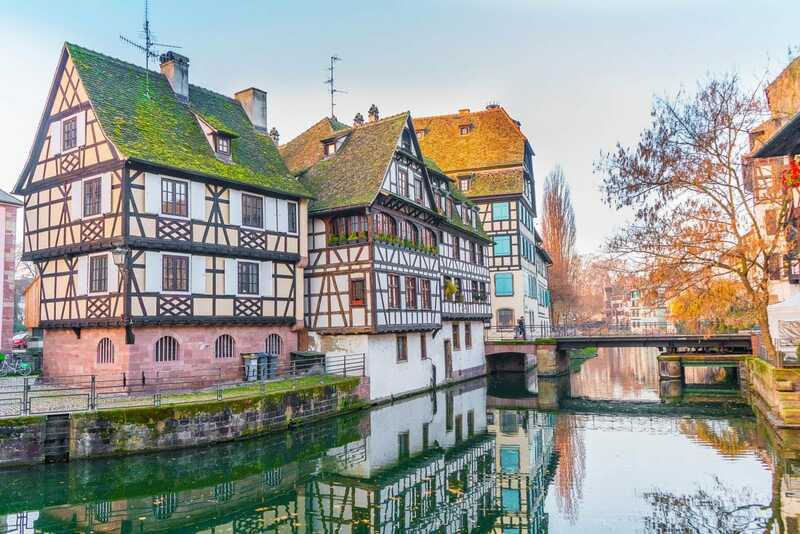 Only a quick 45-minute train ride from the popular and iconic Colmar, France, Basel offers a unique culture that only a town on the border of three countries can. 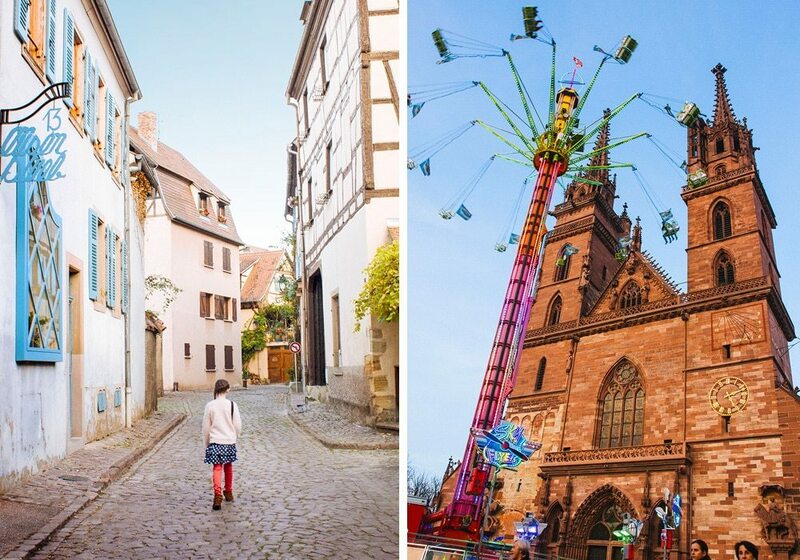 Basel is especially fun during Herbstmesse, the local Autumn Fair when the city literally turns into a fair! 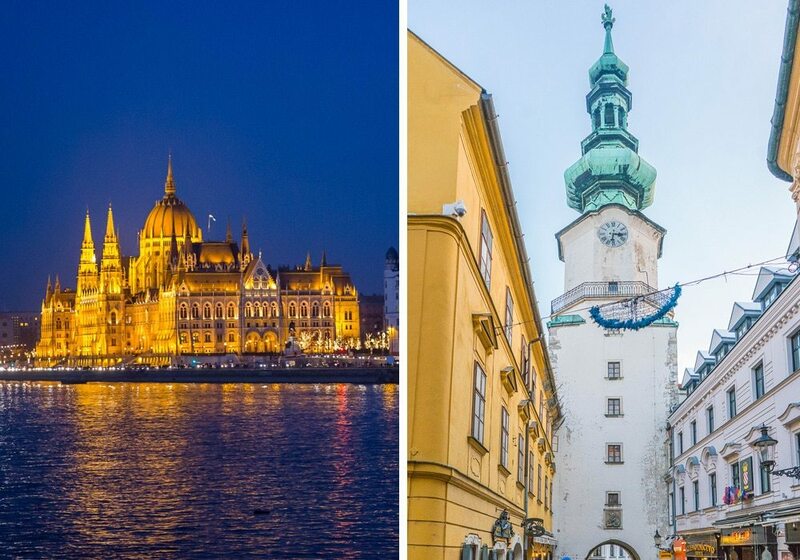 Combine these two beautiful cities for a one of a kind holiday. Switzerland is a wonderland of natural beauty for the outdoor enthusiast or even anyone who has a remote interest in pretty scenery! It’s just jaw-droppingly beautiful. 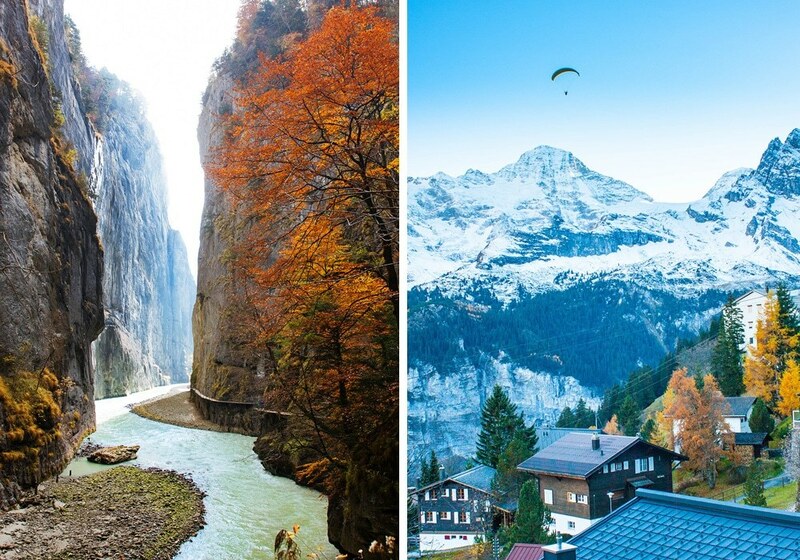 For such a small country, there is so much to see and with two of Switzerland most breathtaking areas just a few hours from each other, it’s worth visiting both of them. These areas offer pristine lakes, ancient gorges, colossal mountains, and a vast array of cultural activities. Lake Como is probably one of my top favorite places on the planet. It is totally magical and peaceful, and I’ve written about it multiple times and helped friends and family plan trips there. Don’t skip Lake Como on your next trip to Italy. One of my favorite parts of Lake Como is its proximity to the Swiss border. You can actually hike over the borer and into Switzerland! But if you’d rather not hike, hop in the car and take a trip to Zermatt, Switzerland, home of the famous towering mountain, Matterhorn. A Paris-Normandy itinerary of Europe combines all the glamor and romance of the city of light with the charm, history, and beauty of Northern France. Spend several days in Paris, taking several day trips, including the impressive floating Mont Saint Michel. Two naturally and culturally beautiful countries are just a short and cheap flight apart and a great combination for a one-week European itinerary, although both countries could take weeks to explore on their own. 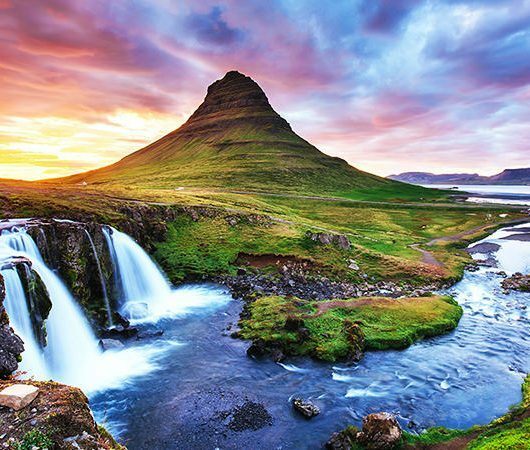 Spend a few days in Iceland, then take a cheap hopper flight and explore the mystical highlands of Scotland. Some of my favorite Italian destinations, Venice and Lake Como, both built on water, are ideal locations for aquatic enthusiasts. 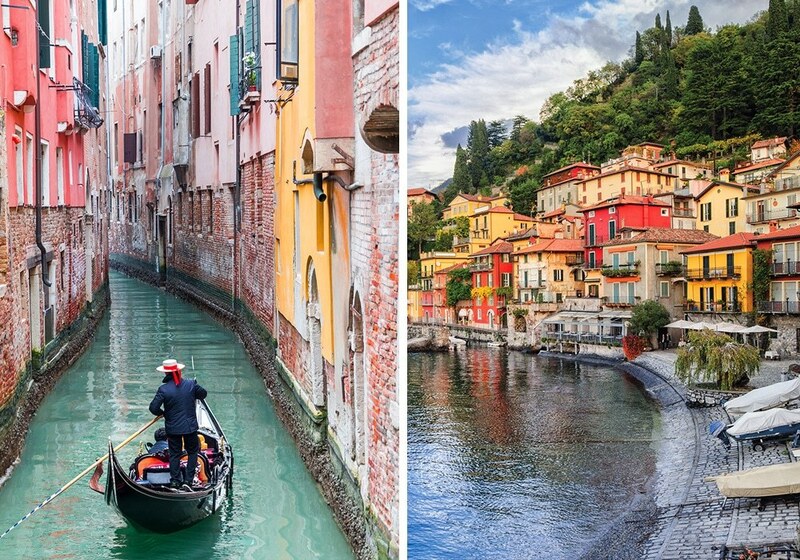 Ride the Gondolas and Vaporetto (water bus) in Venice, then take a short drive or train ride to Lake Como and enjoy boating and relaxing on the beach in one of the adorable villages lining the lake. 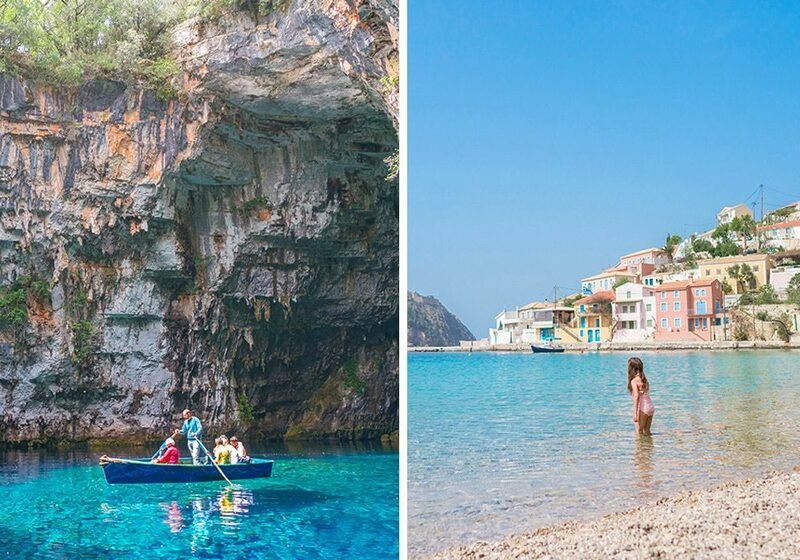 The gorgeous Ionian islands of Greece are one of the best-kept secrets in Europe. Naturally and culturally diverse, affordable, and downright beautiful, Kefalonia and Corfu make great choices for one week in Europe. Explore ancient ruins, relax on pristine beaches with locals, and dine, affordably, like a Greek god. Two countries on one island? Yep! 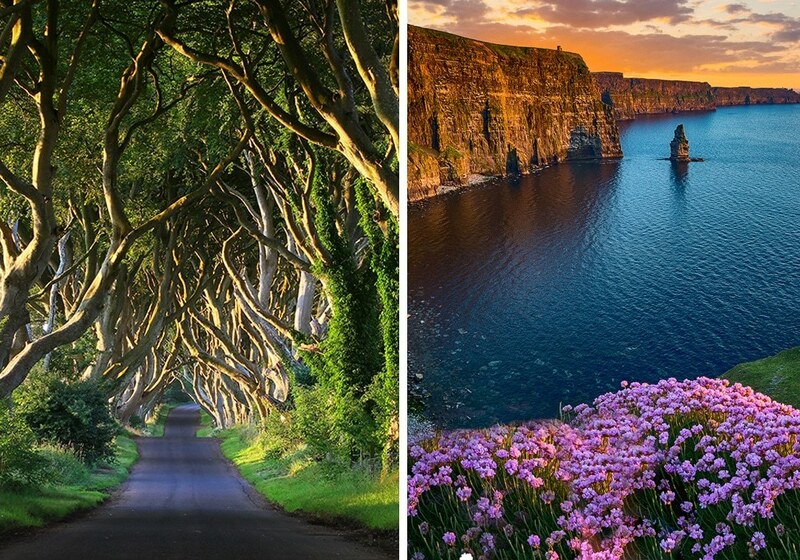 Take a visit to Ireland AND Northern Ireland. Two countries that are very similar, but also very different. Explore the entire island with this perfect itinerary. GETTING BETWEEN COUNTRIES: Rent a Car. Driving in Ireland can be tricky and slow, but worth the views and the adventure. Scotland is one country that should really be given an entire week. 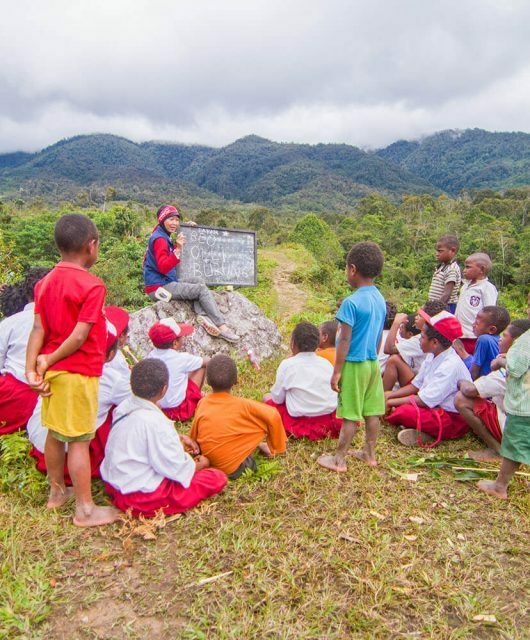 You could definitely say that about any destination, but for a relatively small country, but it has so much to offer that you could spend years here and not see it all. For one week in Scotland, I recommend visiting Edinburgh and the Scottish Highlands, including the Isle of Skye. 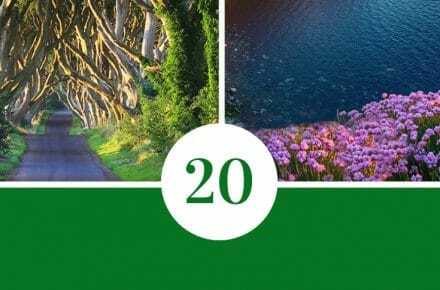 Read here for an entire Scotland Itinerary, here for Edinburgh, here for Inverness and the Highlands, and here for the Isle of Skye. GETTING THERE: Flying into Edinburgh is usually the cheapest option. GETTING BETWEN AREAS: It’s best to rent a car or hire a driver or tour company. Be sure to read my guide to driving in Scotland. 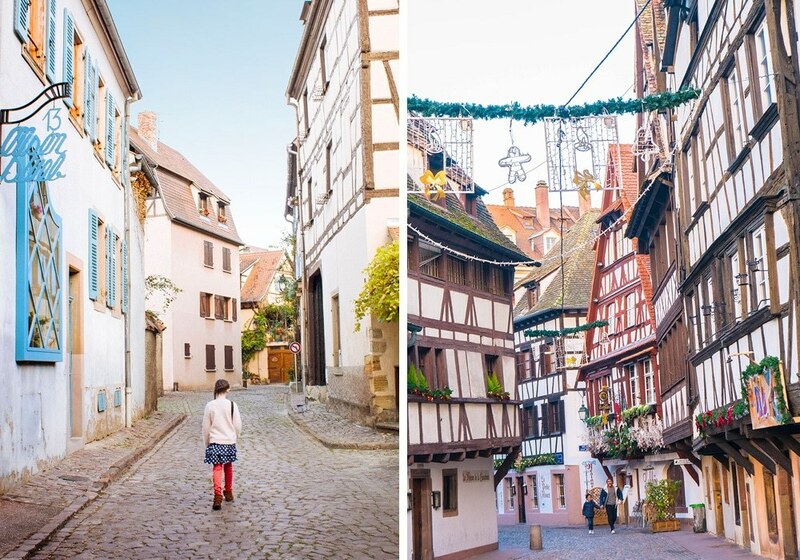 What could be more charming than a week spent in these “poor provincial towns.” Ok, so they’re definitely not poor or provincial, but you’ll feel like you’ve stepped into Belle’s hometown from Beauty and the Beast. The ancient half-timber homes built along scenic rivers provide a feast for the eyes, while the patisseries, boulangeries, shops, and restaurants provide a feast for the tongue. Split your time between these two idyllic towns and enjoy a peaceful trip back in time. Divide your time between the ancient and modern city of light and the historic Loire Valley, home to magnificent palaces, stunning gardens, and green pastures. This one-week itinerary is the perfect balance between city and country life and will provide you with a mix of excitement, peace, and romance. 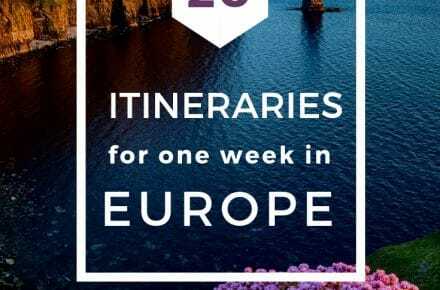 It can be hard to squeeze everything you want into one week European itineraries, but this is a must! 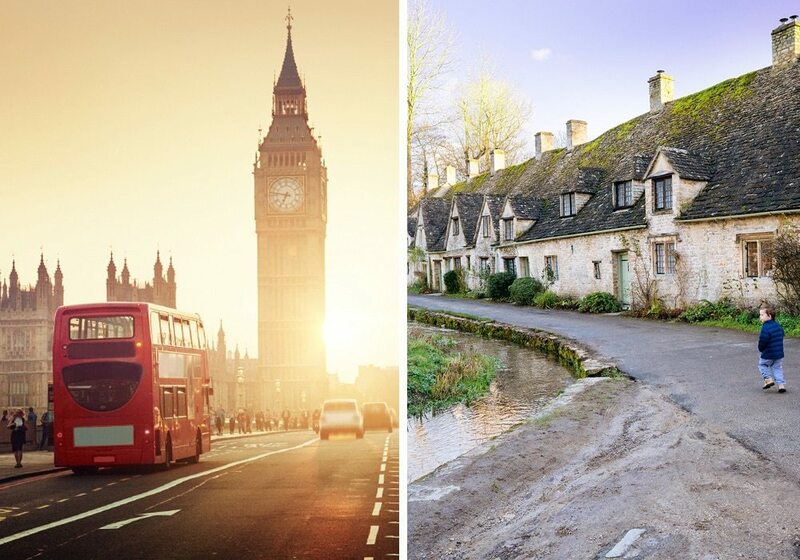 This London and Cotswolds Itinerary provides the best of both British worlds, encompassing both the hustle and bustle of one of the world’s largest/oldest??? Cities and the peace and tranquility of the quaint cottage speckled Cotswolds. 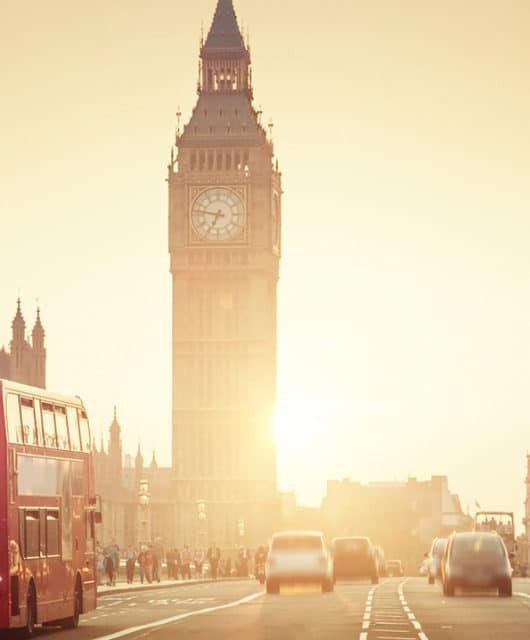 Read here for a complete London Itinerary, here for a list of things to do in London with kids, here for Paddington Bear’s Guide to London, and here for Christmas in London. I call this itinerary the best of Northern Italy. Italy is huge and has so much to offer geographically and culturally, but one of my favorite parts of Italy is the train system. The trains in Italy allow for easy access to most major sites, but it can be slightly confusing, so be sure to read this guide to train travel in Italy before you go. 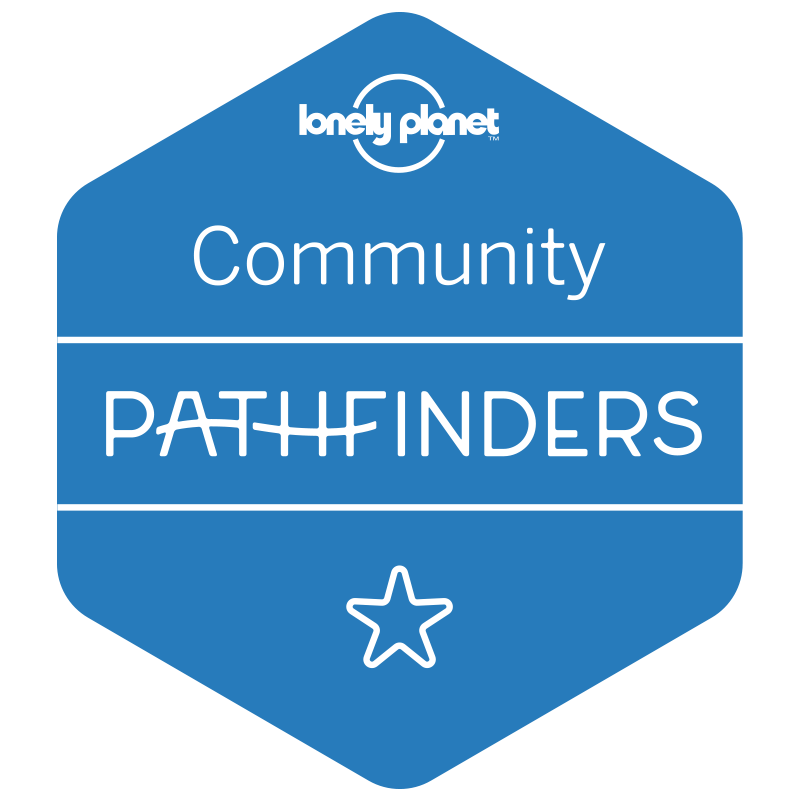 Getting between Florence and Cinque Terre is simple with the right knowledge. The great thing about this itinerary is that you will get to see a big city full of culture, history, and art, and also spend time swimming at the beach and on a boat soaking up rays in in the Liguerian Sea. Read here for Florence, here for Cinque Terre, here for Trains in Italy. I think Prague and Vienna might be some of the most underrated cities in Europe, and they are worth dedicating an entire week to. Stunning architecture, delicious cuisine, and cultural activities abound in these cities that are just a few hours apart. 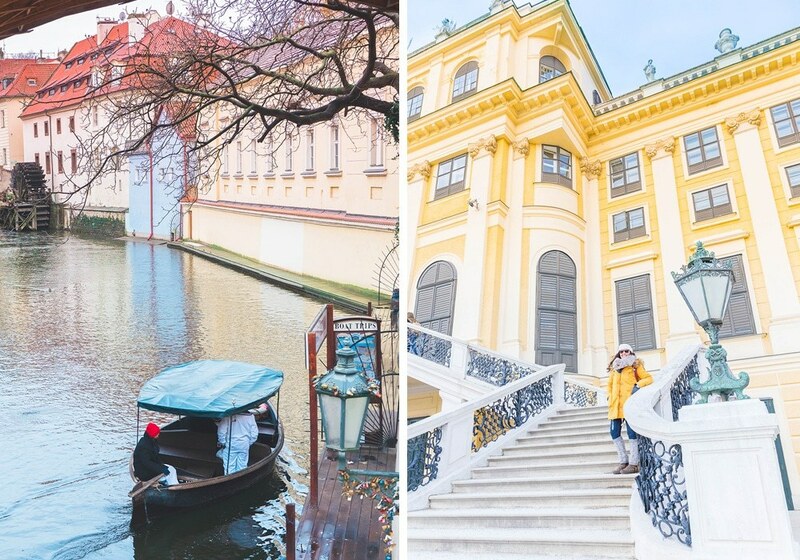 These are two cities that had never really been on my bucket list, and to be honest, I had never even heard of Bratislava, which is in Slovakia by the way! Both cities are charming and culturally rich. They are especially festive and beautiful around Christmas time. Bratislava is on the way between Budapest and Vienna (you can even cycle between Budapest and Vienna) and Budapest and Prague, so if you’re thinking of doing a combination of any of those cities, it’s a great stop. These incredible destinations in Italy are not well known, but that is part of the appeal. 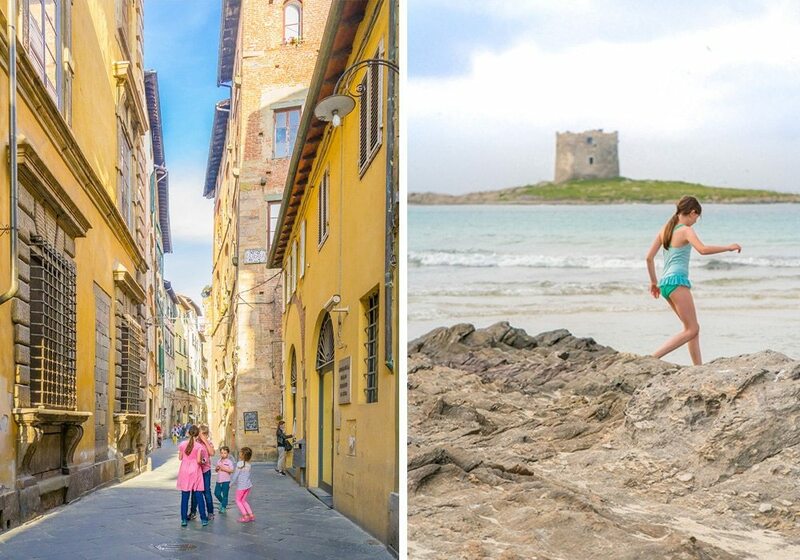 I would say they are a good option for a cheaper and less crowded alternative to the Florence and Cinque Terre itinerary. Lucca is a walled city in Tuscany offering stunning architecture and culture with great family fun activities such as riding bikes along the top of the medieval wall around the city. 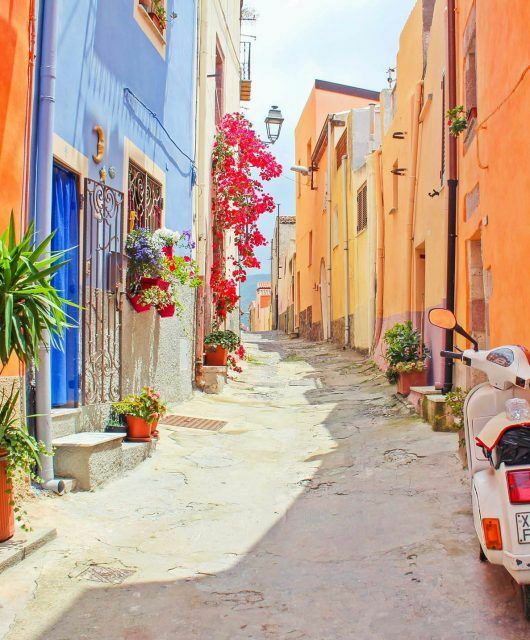 Sardinia is a heavenly island, just a ferry ride away full of breathtaking beaches, delicious food, and friendly locals. Known as one of the five blue zones in the world- places in the world where people live longer and healthier than anywhere else on earth-Sardinia will make you feel younger and more alive just by visiting. 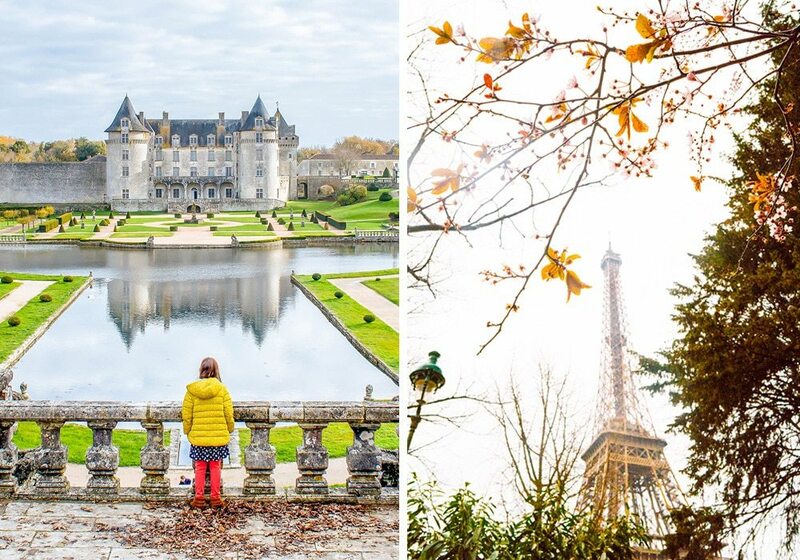 Whichever Europe Itinerary you choose, you’re guaranteed to love it. 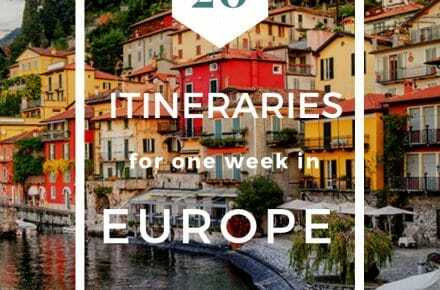 You can definitely see so much of Europe in a week and you really can’t go wrong with any of these choices. Just remember to relax and enjoy and also remember that this probably won’t be the last Europe trip of your lifetime.